As a content creator, you’re constantly working to improve your craft. However, because the world of online video is still so new, it may feel as if resources to help you grow are few and far between. 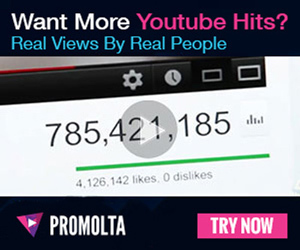 That’s where YouTube’s NextUp comes in. These week-long creator camps provide instruction on growing your channel, gaining subscribers, and creating better videos in general. To be eligible, you must have at least ten thousand subscribers and no more than a hundred thousand subscribers. The eligibility guidelines for NextUp are extremely strict. Because YouTube wants to invest in the stars of the future, NextUp is designed for creator who have proven success but are still growing their audiences. In order to be eligible, you must have at least ten thousand subscribers. However, you also can’t have more than a hundred thousand subscribers. While you won’t be brushing elbows with the likes of Zoella and the Dolan Twins at NextUp, you will be networking with creators who are in the exact same position as you. Your channel must also be eligible for monetization and be in good standing. It should go without saying that YouTube wants its NextUp creators to be good representatives of the YouTube community at large. Therefore, your channel must be in good standing in order for you to apply. Your channel must also have monetization enabled. NextUp is for creators who are making YouTube their career, so you need to understand the very basics of making money on YouTube first. In the last ninety days, you must have uploaded at least three new videos. Though uploading weekly is best for growing your channel, NextUp only requires that applicants have uploaded at least three new videos in the last ninety days. These videos must be newly created as well. So, if you haven’t uploaded in a hot minute, you might not be eligible yet. Instead, focus on getting your channel back up and running so you can apply in a few months. Check the NextUp website to see which specific events are coming up. Because the NextUp events are held at YouTube spaces, only creators from certain countries are eligible to apply. You can check the upcoming events on the NextUp website. As of spring 2019, the only upcoming NextUp camps are a #YouTubeLatino event in New York for American and Canadian creators and a gaming event in Mexico City for Latin American creators. Finally, once you’ve found an event you’re eligible for, you can easily apply online. Just go to the NextUp website and click “apply now” in the top right corner. Read and agree to the contest rules. Then, submit your application. Even if you don’t win a spot at this NextUp, you can easily try again in a few months. Follow the vlogs from creators who do attend so you get a better idea of the kind of creators NextUp is looking for. YouTube NextUp is an incredible opportunity for up-and-coming creators. Check your eligibility and apply as soon as you can. Good luck!